Hot Dog Heaven is pretty much an Orlando Icon, after all, they have been in business for over 30 years. In today’s restaurant industry with so many opening and closings, being in business that long is a true testament to the quality and dedication that this true mom and pop place puts out on a daily basis. This place is exactly what it sounds like, a restaurant dedicated to hot dogs. They try as hard as they can to present their customers with a true Chicago dog, but also offer it in a variety of flavors and topping varieties as well. All the hot dog options here are made with Vienna Beef Hot Dogs, which is a true staple to the Chicago theme. The menu starts with an Authentic Chicago Hot Dog that is made with a 100% pure beef Vienna natural casing hot dog on a steamed poppy seed bun, topped with mustard, relish, onion, tomato, pickle, and hot peppers. From there you can go on to other options like...Jumbo Chicago Hot Dog, American Cheese Dog, Swiss Cheese Dog, Slaw Dog, Kraut Dog, Chili Dog, Baked Bean & Onion Dog, Kraut & Slaw Dog, Cheese & Kraut Dog, and a Reuben Dog just to name a few. If you want something more extravagant, they also offer The Great Chicago Fire Dog with a 100% pure beef Vienna spicy hot dog on a steamed poppy seed bun, topped with mustard, relish, onion, tomato, pickle and hot peppers, and of course they also have Italian Sausage, which is a Thursday special, with green peppers & onions. They also offer a Spicy version of the classic Vienna beef hot dog. All of the hot dog options here can be ordered separately, or as a combo with fries or chips, and your choice of one side, like coleslaw, macaroni salad, or baked beans. You can also upgrade to Cheese Fries or Chili Cheese Fries. I opted for the The Spicy Chicago Dog with a spicy all beef Vienna beef hot dog that is served on a steamed poppy seed bun, topped with mustard, relish, onion, tomato, pickle, and hot peppers, with sides of French fries and a side of macaroni salad. This was a really good dog. I’ve been to Chicago and other areas of Illinois, so I'm a bit impartial, but I really enjoyed the spicy dog option Hot Dog Heaven has. My wife loves a good Kraut Dog, so she ordered the Kraut Dog Combo with sides of French Fries and coleslaw. She really enjoyed her hot dog, and the bite I had was delicious as well. The fries here are made fresh also, and they are nice and crispy. The coleslaw wasn't bad, and my macaroni salad I had as my side was decent. When you visit Hot Dog Heaven, do yourself a favor and order your soda or whatever you drink in a mug. The Mugs are $2.35, and you own it… bring it back next time, and refills are .35 cents. They are also good to make your favorite cocktails or milkshakes in at home. Lines on Saturday especially, can be a bit long, but It's worth the wait, and they move pretty fast. Inside the seating is pretty limited, but they do have additional seating outside with several benches on a covered patio, there is also a nice little park directly behind the location with bench seating and a lake view. Hot Dog Heaven is open Tuesday through Friday from 11:00 am until 6:00pm. They close at 5:00pm on Saturday, and they are closed on Sunday and Monday. If you are in the area, we highly recommend you stop by and visit Hot Dog Heaven. It's truly an Orlando institution that serves up some pretty tasty dogs, and really good fries. One of my original blog posts, way back in 2011 was about the all new Oblivion Taproom, opened up and owned originally by Missy Jahn and Pete Wesenberg. They employed at that time Chef Jim “Goody” Goodman, who now works on the west coast. Following a short closing in 2016, there was an announcement that Oblivion Taproom would reopen under new ownership of long time patron, Shawn Paris. The past owners of Oblivion announced that they would be closing suddenly at the end of January, that was then followed by news announced a few days later that it would be reopening soon under new ownership. I've been several times since the change, and figured I would go check them out on a Thursday night with a couple of friends for an official updated review. Shawn Paris has worked hard to keep the space and the ambiance that made Oblivion unique the same, but has added a few improvements, including added foot rails, new beer lines, and a paired down menu. Oblivion boasts the Top Prize for Best Pub Grub of 2016 from Orlando Weekly, with a menu that includes over Fifteen different burger creations and either Regular, or Smoked Wings with a selection of over twenty two different seasonings and sauces, including a super secret Sweet sauce crafted from grandpa's family recipe. The inside is still very spacious with an open dining room that has about fourteen hundred sq ft., that is big enough for any event or party. The decorations are still remnant of when they first opened with skulls and crossbones, and lots of cool but dark artwork, that is perfect for a craft beer and burger bar. Aside of nightly events, they also have five arcade games, two dart boards and a pool table. Oblivion prides itself on diversity and that starts with a wide selection of beverages. 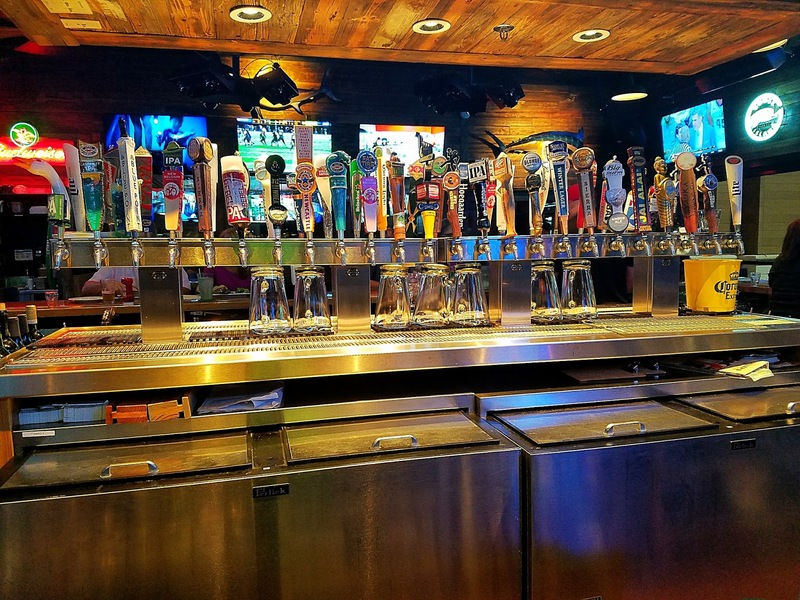 With over forty rotating taps, one hundred various bottled & canned brews, ten plus meads and five different wines, there is something for everyone. Also new is a selection of thirty five different liquors, as they were strict craft brews only at first opening. The Midnight Espresso Porter from Motorworks Brewing was pretty good and a good pick me up too. Mac Bites are basically balls of Mac & Cheese deep fried and topped with creamy Alfredo sauce and served with your choice of hot sauce.These were very tasty and gobbled up by our table. Although, some of the menu has been scaled back, they still have some crazy and outrageous burgers, like the Godzilla. The Godzilla Burger is a house patty glazed in teriyaki, topped with fried pork belly and a wasabi aioli sauce. Pretty wild, but the flavors worked. Beer comes in bottles, cans and on draught at Oblivion. This High Stepper IPA from my favorite craft brewery, Crooked Can was a very good beer with the tots and burgers, but it did take almost 20 minutes to get, because apparently there were no cold ones available. The Magic Mushroom Burger is topped with a grilled balsamic portabella. My guest chose the wedges with garlic Parmesan seasoning for a side. The Ringer is quite a burger creation as well with a country fried burger topped with house chicken fried bacon, beer cheese sauce, and a mac bite. Our service was a bit slow, and the canned beer not being ready were a bit of a letdown. Overall we all enjoyed our visit here, but I would be lying if I didn't say, that this visit wasn't overly impressive. I still really like Oblivion, and wish them well, because the restaurant industry can be brutal, and its good to see a local non chain spot keep fighting the good fight. They are always a fun place to grab some really good beers, decent food, and have a fun time just looking around at all the artwork and the vibe they still maintain there. 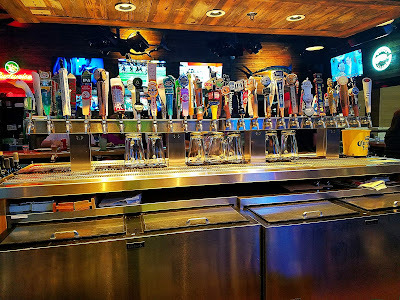 Throughout the week you can catch various live performances and a Thursday Karaoke Night as well as a Saturday Acoustic Night with both starting at 9:00pm and lasting until Midnight. Oblivion often has lots of themed parties too, for movies, TV shows, and sci fi fanatics alike. Oblivion Taproom is open Tuesday through Thursday from 4:00pm until 12:00am. They are closed on Monday. Friday and Saturday they are open until 2:00 am, and on Saturday and Sunday, they serve brunch from 11:00 am until 2:00pm. As the number of fast-casual restaurants continues to skyrocket around the United States and even globally, you can continue to expect more fast casual chains and even independent fast casual eateries to make their way to Orlando. 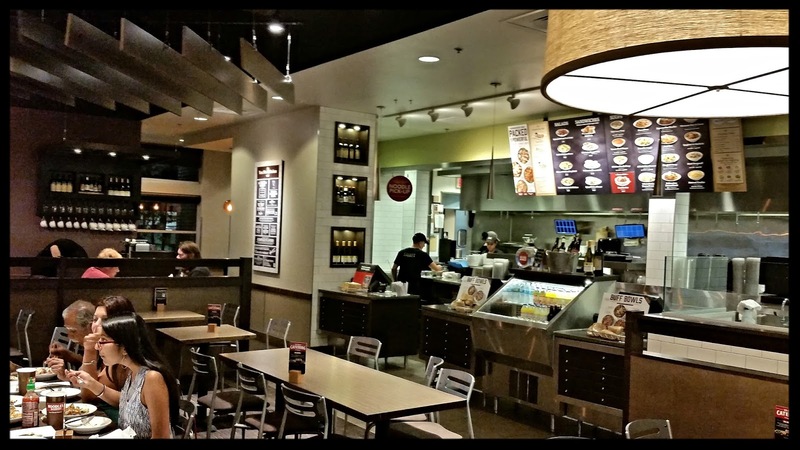 Noodles & Company already has five locations in Central Florida and is continuing to expand. The concept at Noodles & Co. is to offer the world’s favorite noodle dishes, sandwiches, salads and soups, all in one restaurant. Each dish is hand made to your specifications, using only the freshest ingredients. All entrees are individually sauteed or prepared, placed on signature stoneware and served tableside with stainless steel flatware. All of this can be had for around $8 a dish, and there’s never any tipping at Noodles. The food, or Noodles served up here are inspired by the individuality, creativity and cultural heritage of cuisines from around the globe. From Penne Rosa to Japanese Pan Noodles, The Med Salad, Thai Curry Soup, and a Wisconsin Mac & Cheese, only the most authentic ingredients are used to create great tasting food in a fast casual environment. The concept is simple and straight forward. After looking over the large photo menu, you first choose your entree and pick your size, regular or small. Next you can choose to add meat or tofu to your dish. Meats include pork, Parmesan crusted chicken, grilled chicken breast, marinated steak, sauteed shrimp and oven roasted meatballs. Finally you can choose to green it up, soup it up, or veg it up by adding extra vegetables, a soup or side salad. Within minutes your food is brought to your table and you are ready to enjoy some pretty tasty noodles. Additionally Noodles & Co. has three side items, or appetizers to choose from. The list includes Potstickers, Margherita Flatbread and a Cheesy Garlic Bread. Our Pot stickers were pretty darn good for fast casual. I ordered the Wisconsin Mac & Cheese in a regular size. This is a classic blend of cheddar and jack cheeses, cream and elbow macaroni. I also added the grilled chicken to my mac & cheese. This mac had a very rich and creamy sauce, and the added grilled chicken provided a perfect texture and flavor. The regular size was more than enough, and I even had some left over. The Pesto Cavatappi is curly pasta, basil pesto, garlic, mushrooms, tomato, wine, cream, Parmesan and Italian parsley. My guest added the Parmesan crusted chicken. This dish was very flavorful and savory with just the right amount of sauce. I was really impressed with the flavors in the Thai Hot Pot that one of my other guests ordered. This is a Noodles & Co. signature curry broth with cabbage, sprouts, peppers, shiitake mushrooms, rice noodles, pulled chicken and pork, lime wedge and cilantro, served with a side of toasted Asian flatbread. The broth had a wonderful coconut flavor with a decent amount of heat, and the flatbread was great for dipping also. I found all of the food I tried to be quite flavorful, and about as authentic in taste as I have had at any traditional Asian, Italian, and American restaurant. Noodles and Company also serves beer and wine because, as they like to say…” it goes great with our food”. The selection and availability varies for each restaurant. I did enjoy a New Belgium Brewing Fat Tire during my visit. Noodles & Company is open Sunday through Thursday from 11:00 am until 9:00pm, and they stay open until 10:00 pm on Friday and Saturday.